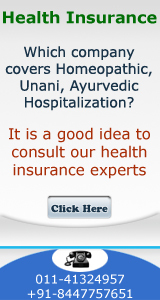 6- Senior Citizens Mediclaim Policies - The New India Assurance Co. Ltd.
4.4.7 Bodily injury or sickness due to willful or deliberate exposure to danger (except in an attempt to save a human life), intentional self-inflicted injury, attempted suicide and arising out of non-adherence to any medical advice. 4.4.8 Treatment of any Bodily injury sustained whilst or as a result of active participation in hazardous sports of any kind. 4.4.9 Treatment of any Bodily injury sustained whilst or as a result of participating in any criminal act. 4.4.10 Sexually transmitted diseases, any condition directly or indirectly caused due to or associated with Human T-Cell Lymphotropic Virus Type III (HTLB-III) or Lymphotropathy Associated Virus (LAV) or the Mutants Derivative or Variation Deficiency Syndrome or any syndrome or condition of a similar kind commonly referred to as AIDS. 4.4.11 Diagnostics, X-Ray or Laboratory examination not consistent with or incidental to the diagnosis of positive existence and treatment of any ailment, sickness or injury, for which confinement is required at a Hospital/Nursing Home. 4.4.12 Vitamins and tonics unless forming part of treatment for injury or disease as certified by the attending physician. 4.4.13 Treatment arising from or traceable to pregnancy, childbirth, miscarriage, abortion or complications of any of these including caesarean section, except abdominal operation for extra uterine pregnancy (Ectopic Pregnancy), which is proved by submission of Ultra Sonographic Report and Certification by Gynaecologist that it is life threatening one if left untreated. 4.4.15 Instruments used in treatment of Sleep Apnea Syndrome (C.P.A.P.) and Continuous Peritoneal Ambulatory Dialysis (C.P.A.D.) and Oxygen Concentrator for Bronchial Asthmatic condition. 4.4.16 Genetic disorders and stem cell implantation / Surgery. 4.4.17 Any Domiciliary Hospitalization/ Treatment. 4.4.18 Treatment taken outside India. 4.4.19 Experimental and Unproven treatment (not recognized by Indian Medical Council). 4.4.20 Change of treatment from one system of medicine to another unless recommended by the Consultant / Hospital under whom the treatment is taken. 4.4.21 All non-medical expenses including convenience items for personal comfort such as telephone, television, Ayah, Private Nursing/ Barber or beauty services, diet charges, baby food, cosmetics, tissue paper, diapers, sanitary pads, toiletry items and similar incidental expenses. 4.4.22 Service charges or any other charges levied by hospital, except registration/admission charges. 5.1 Contract: The proposal form, declaration, pre acceptance Health check-up and the policy issued shall constitute the complete contract of insurance. 5.2 Communication: Every notice or communication to be given or made under this Policy other than that relating to the claim shall be delivered in writing at the address of the policy issuing office as shown in the schedule. The claim shall be reported to the TPA appointed for providing claim services as per the procedure mentioned in the guidelines circulated by the TPA to the policyholders. In case TPA services are not availed then claim shall be reported to the policy issuing office only. 5.3 Premium Payment: The premium payable under this policy shall be paid in full and in advance. No receipt for premium shall be valid except on the official form of the company signed by a duly authorized official of the Company. The due payment of premium and the observance and fulfillment of the terms, provisions, conditions and endorsements of this policy by the Insured Person in so far as they relate to anything to be done or complied with by the Insured Person shall be a condition precedent to admission of any liability by the Company to make any payment under the Policy. No waiver of any terms, provisions, conditions and endorsement of this policy shall be valid unless made in writing and signed by an authorized official of the Company. 5.5 Fraud, Misrepresentation, Concealment: The policy shall be null and void and no benefits shall be payable in the event of misrepresentation, misdescription or nondisclosure of any material fact/ particulars if such claim be in any manner fraudulent or supported by any fraudulent means or device whether by the Insured Person or by any other person acting on his/her behalf. 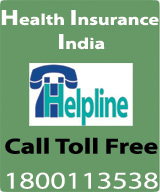 5.6 Contribution: If at the time when any claim arises under this policy, there is in existence any other insurance (other than Cancer Insurance Policy in collaboration with Indian Cancer Society/ Cancer Patient Aid Association), whether it be effected by or on behalf of any Insured Person in respect of whom the claim may have arisen covering the same loss, liability, compensation, costs or expenses, the Company shall not be liable to pay or contribute more than its ratable proportion of any loss, liability, compensation, costs or expenses. The benefits under this Policy shall be in excess of the benefits available under Cancer Insurance Policy as indicated above. 5.7 Cancellation Clause: The Company may at any time cancel this Policy by sending the Insured 30 days notice by registered letter at the Insured’s last known address and in such event the Company shall refund to the Insured a pro-rata premium for un-expired Period of Insurance. The Company shall however, remain liable for any claim, which arose prior to the date of cancellation. The Insured may at any time cancel this Policy and in such event the Company shall allow refund of premium at Company’s short period scale of rate only (table given here below) provided no claim has occurred up to the date of cancellation.